You are here: Home / Uncategorized / Mt. Laurel’s Amazing Easter Eggs!!! Mt. Laurel’s Amazing Easter Eggs!!! 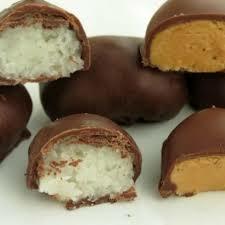 LAST DAY TO ORDER our amazing peanut butter or coconut cream eggs will be April 8th. The cost is $10.00 per dozen. All orders for the week must be placed by noon on Sunday. Order sheets are in the back of the sanctuary or you may call the Lysingers at 717-599-5602.